Place chocolate chips, milk, and 1 1/2 cups of marshmallows in a sauce pan over medium-low heat. Stir until melted and combined. 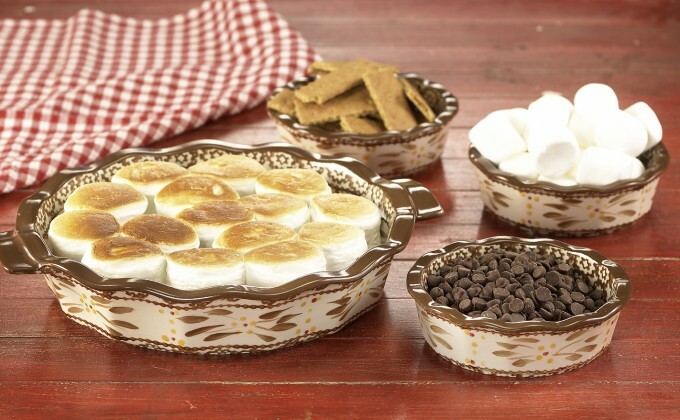 Pour chocolate mixture from sauce pan into your temp-tations® deep dish pie plate and top with remaining marshmallows. Broil for 1 minute or just until marshmallows are lightly toasted. Serve warm with graham crackers for dipping. Enjoy!